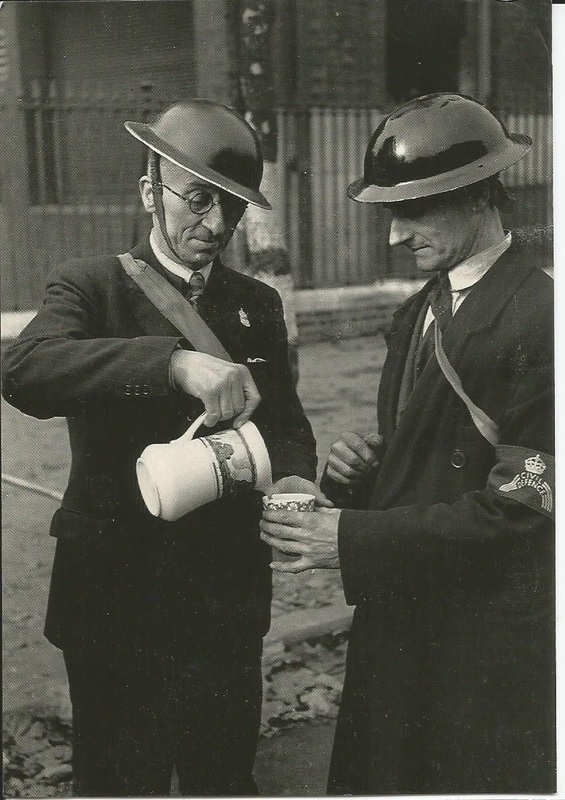 Air raid wardens early in the second world war with unmarked helmets, ARP lapel badge and Civil Defence armband. 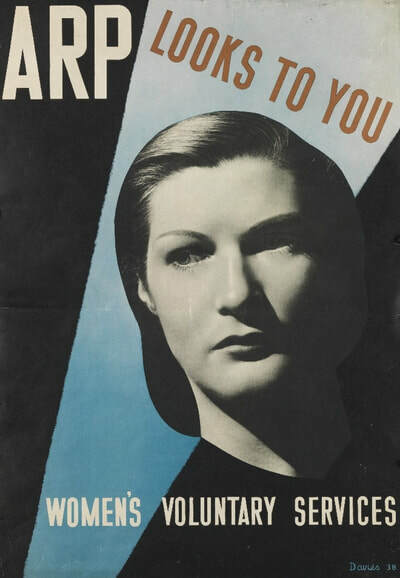 With the introduction of Air Raid Precautions (ARP) training in February 1937, no uniforms were issued to newly-trained air raid wardens; they wore their civilian clothes. 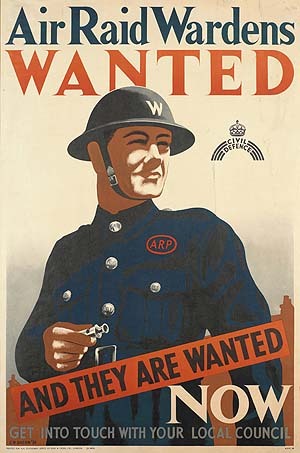 Instead they received a silver ARP lapel badge and whilst on duty they also wore a helmet (usually, but not always, a black helmet with a white 'W') and armband (armband design was unregulated at this time and local authorities bought whatever designs they wanted, often with the local authority name printed on them). As the threat of war developed, the ARP Wardens' Service were issued with a more robustly constructed gas mask. It was not until the start of the WW2 that uniforms slowly filtered through to wardens and associated services - the first being the all-in-one combination suit/overalls made of bluette. These overalls featured red diamond and bar rank insignia on the lower sleeve (issued up to mid-1941). 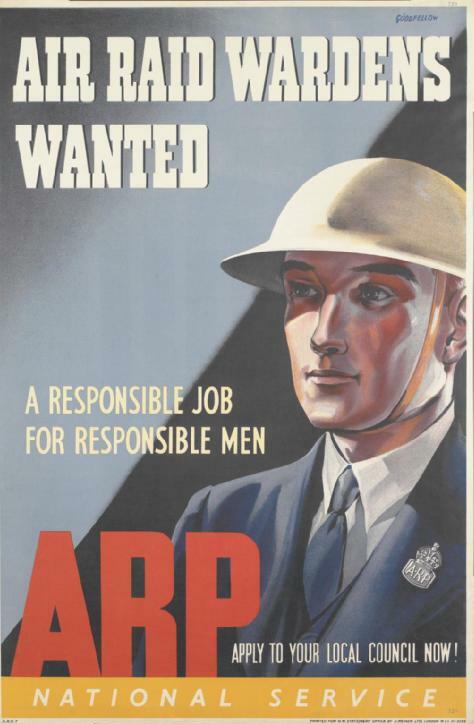 As the Civil Defence Services (the ARP was rolled into the CD in 1941) became more organised, dark blue battledress (BD) uniform replaced the overalls and were issued until the end of WW2. A new system of rank insignia was also introduced. However, people still wore the bluette overalls until the end of WW2. The new battledress insignia featured yellow bars and rank chevrons to denote a person's seniority within the various CD services. Certain ranks were also reflected by helmet colour and use of black bars. Additional insignia was introduced throughout the second world war for specific roles and attainments (e.g. Incident and Bomb Reconnaissance Officers). A plethora of armbands were also issued. It should be noted that even when regulations (such as ARP Memo 17) dictated how and where a certain badge should be worn not every person or local group adhered strictly to that dictate. Original WW2 photographs show a great variance in where insignia was worn.